Each year, the Institute of Museum and Library Services (IMLS) awards the National Medal for Museum and Library Service to five museums and five libraries across the country with outstanding records of community service. Since 2009, IMLS and StoryCorps have partnered to provide all National Medal recipients with three days of onsite community recordings. 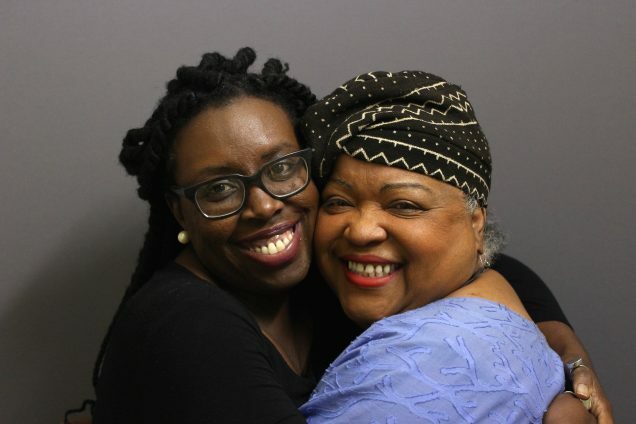 These recordings celebrate the diversity, dedication, and personal stories of their communities. 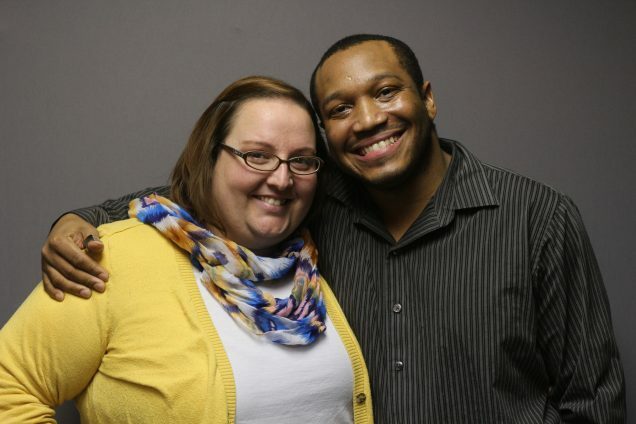 Josh Poindexter talks with his colleague Amanda Fortner about how he has been able to connect with the kids at the children’s museum Amazement Square in Lynchburg, Virginia. Amanda serves as the museum’s Director of Operations, and Josh, who started as a volunteer, is now on staff as a museum Floor Manager, and is fondly known as “Mr. Josh.” Amanda remembers one young patron’s attachment to the museum’s “barn,” an interactive exhibit space designed for the youngest visitors to learn about life on a farm, modeled after Margaret Wise Brown’s book The Big Red Barn. Listen here. In 2011, U.S. Army Veteran Thomas Cousar was homeless, unemployed, and living in a tent in the woods. 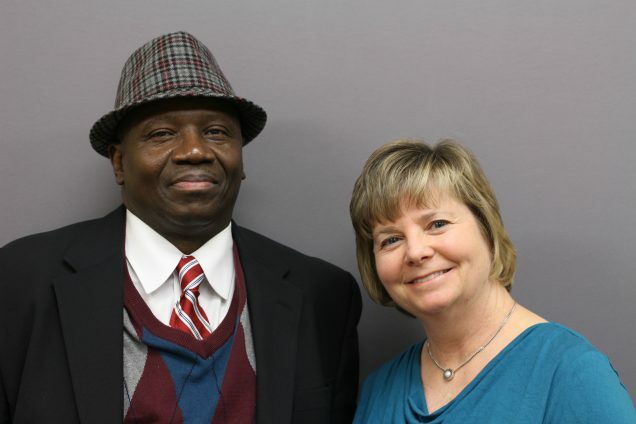 Thomas sat down with librarian Kathy Galbreath to talk about what inspired him to turn his life around after a visit to the Perryville branch of the Cecil County Public Library in 2012. Using the computer skills he’d acquired through the library’s classes, Thomas found employment at the Perry Point VA Medical Center where he now serves as a Peer Support Specialist. As part of his work today, Thomas helps other veterans complete the same computer skills and technology training courses at the library that helped him. When CCPL accepted the National Medal at the White House, Thomas attended as CCPL’s community representative. Listen here. Library patron and volunteer Rachelle Huddleston-Lorton tells her husband, Glenn Lorton, about her grandmother Marjorie Mitchell, the matriarch of her family and her biggest influence. Rachelle described her as the glue that held the family together. Nonie, as she was called, took Rachelle into her home when Rachelle was going through a rough time as a teenager and helped Rachelle get back on her feet. Nonie was diagnosed with stage 4 lung cancer and died in 2011 at the age of 84. Listen here. 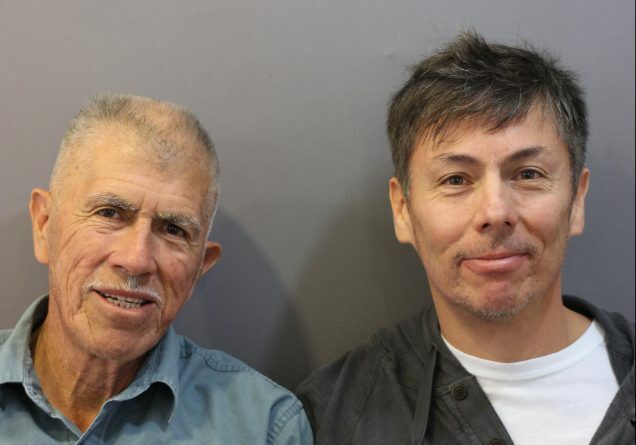 Gilbert Griego tells his son David about his memories of the Harding Pegmatite Mine near the village of Dixon in New Mexico’s Embudo Valley. Gilbert practically grew up in the mine—his uncle and father worked there in the 1940s and 50s until it closed for good in 1958, at which point Gilbert’s father became caretaker of mine until his death in 1984. (Gilbert is currently the mine’s caretaker.) The mine is now owned by the University of New Mexico and it attracts visitors, students, and geologists from all around the world. As caretaker, Gilbert leads tours of the mine and tells visitors about the mine’s minerals and history. 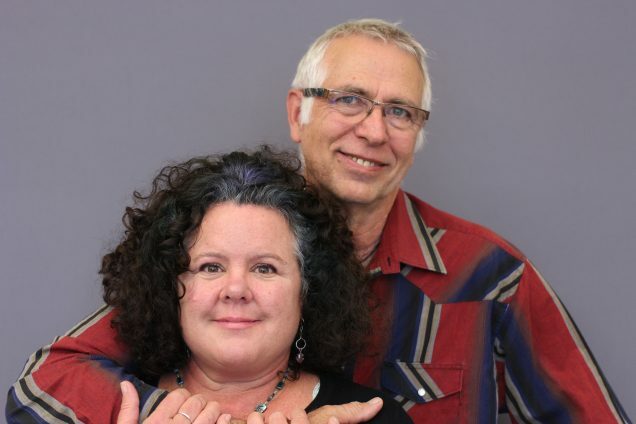 The extended Griego family utilizes a number of the library’s services and supports its programming. Listen here. 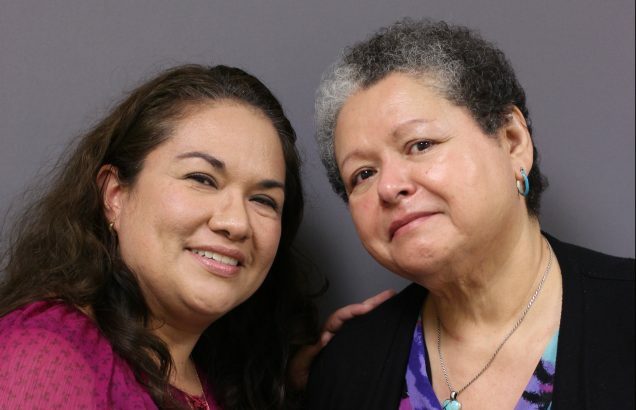 Sylvia Galan-Garcia (right) and Lupie Leyva (left) talk about being Latina librarians and serving their communities in Los Angeles. Originally from East Los Angeles, Sylvia was a Chicana activist and became very aware of the needs of the people in her community—most of them were immigrants from Mexico. It inspired her to become a librarian. As a librarian, she emphasizes the importance of growing multilingual collections and catering to Spanish speaking patrons in particular. The two also talk about the LAPL’s “Path to Citizenship” program, a partnership with the U.S. Citizenship and Immigration Services department to expand citizenship education and outreach. The city has more than 750,000 residents, many of whom are Spanish speaking, who are eligible for citizenship. We hear first from Lupie. The Parent Leadership Training Institute is a 20-week program that bolsters parental involvement and enables parents to become advocates for children and communities through practical advocacy instruction and hands-on community projects. At the Louisiana Children’s Museum in New Orleans, Institute staff members and friends, Deirdre Burel (left) and Saundra Reed (right), reflect on the unique value that the museum offers as a host partner for the Institute, with a supportive environment full of creativity, play, and wonder. We hear from Saundra first. 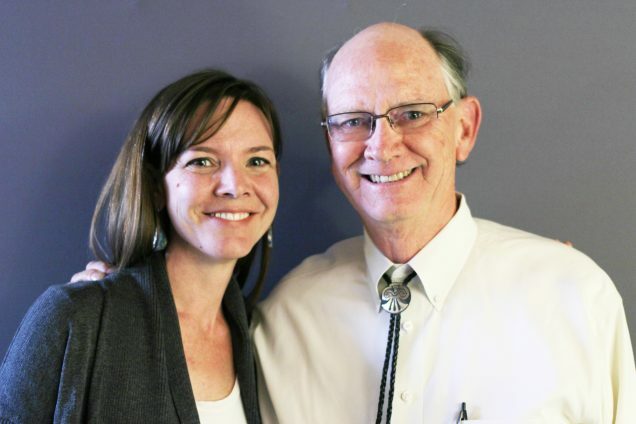 Robert Breunig, former Director of the Museum of Northern Arizona, talks with his daughter, Lydia, about their time together at the museum and the surrounding land and cultures, and how these things have affected their lives. Robert grew up in the Midwest and clearly remembers his first time coming to Arizona. Lydia grew up in Arizona and spent her childhood at the museum. She thought of it as her “playground”—Robert would take her to work with him, and she would spend hours running around the museum during her summer breaks. Lydia’s childhood impacted her decision to become a geographer. Robert served as the museum’s director from 2003 to 2015. Listen here. 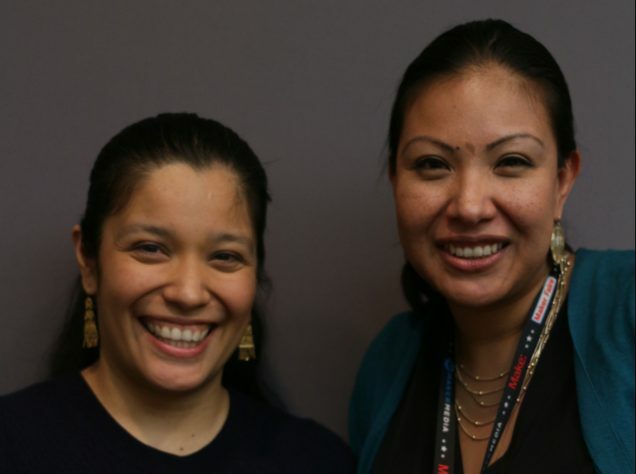 Queens resident and museum member Myrna Tinoco (left) tells Delia Meza (right), who is a youth educator at the New York Hall of Science (NYSCI), about bringing her kids to the museum and how invaluable it’s been, particularly for her five-year-old autistic son. Myrna has been able to better understand how her son learns through seeing him participate in the programs at the museum. Her son is a sensory learner, so he enjoys NYSCI’s many hands-on activities and sensory-rich art projects. As an educator, Delia supports this hands-on approach to learning—she believes that the more kids interact, get messy, and have fun with something, the more they learn about it. Listen here. 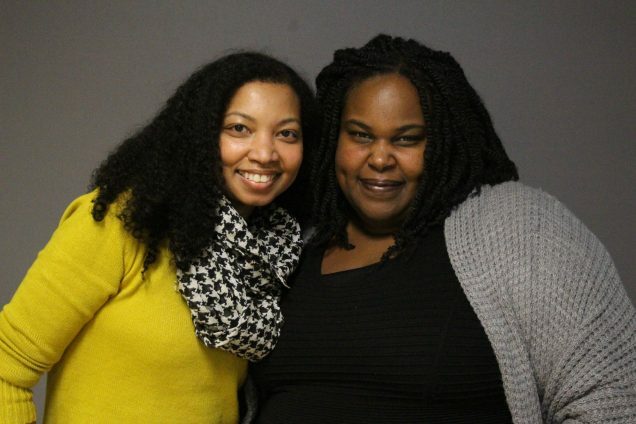 Young adult authors Tracey Baptiste (left) and Renée Watson (right)—who also teach courses in writing for young people—talk about their childhood experiences and how it affected their racial identity and career paths. We hear first from Renée. Tracey’s debut novel, Angel’s Grace, was named one of the 100 best books for reading and sharing by NYC librarians. Renée is the author of This Side of Home, which was nominated for as Best Fiction for Young Adults by the American Library Association. Listen here. Sixteen-year-old Mallika Yeleswarapu, an intern at the Tech Museum of Innovation in San Jose, California, talks to museum educator Lauren Cage about the importance of STEM (Science, Technology, Engineering and Math) for girls and women, and the need for more female role models in science. 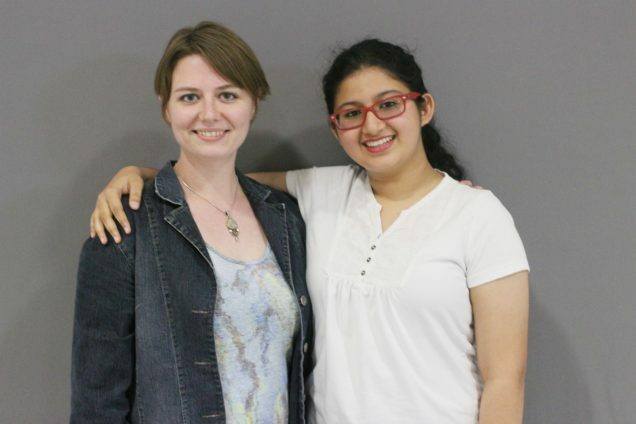 Mallika first started coding at the age of 10. She was the only girl in the coding class, and was intimidated and made fun of by the boys in the class so she ended up teaching herself how to code with some help from her father. She is now taking classes with Girls Who Code, a national nonprofit dedicated to closing the gender gap in technology. Mallika asks the first question. Listen here.